One short-term effect of alcohol and drugs on drivers is, of course, the fact that they are unable to control their vehicles. The liver is the body's filter for many toxins, including most types of drugs. This process takes time, as the blood must circulate throughout the body and then be processed by the liver; while this is happening, all of the organs in the body are affected. This includes all of the organs that one needs to drive: eyes, heart, muscles, and the brain. Alcohol is a drug in several ways other than just being a depressant. Another aspect of alcohol on the body is that it has effects that are similar to a muscle relaxant. The brain slows down and reaction time suffers; along with relaxed muscles, this is a recipe for disaster! Driving a motor vehicle requires many coordinated functions, which are adversely impacted by alcohol and other drugs. The frontal lobe of the brain is essential for driving a motor vehicle as the frontal lobe controls judgment, emotions, decision making and awareness. The frontal lobe of the brain is the first part of the brain that is affected by alcohol. The combination of muscles that can't respond to a signal that is coming from the brain later than it should, with a driver driving down the roadway, can be deadly. The reason that a person might make a choice to try to drive at this time is because of the diminished judgment they are experiencing. Judgment is affected because that center is located in the pre-frontal lobe of the brain, which is one of the first areas affected by alcohol. The person does not realize how impaired they were because their judgment is depressed. This parallels the pattern that occurs with a person's inhibition. 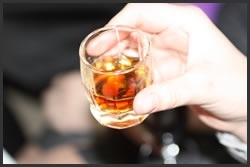 Inhibitions keep people from doing things they know are dangerous - like driving a car while impaired - but alcohol reduces inhibitions, so people take chances they normally wouldn't take. This is why it is so dangerous to drink and drive, but there are long-term effects on the body as well. Of course, if you choose to drink or take drugs and then drive, you could kill yourself and not be around to feel the long-term effects. Alcohol is involved in about 40% of the traffic crashes in which someone is killed. Drivers who have been drinking are much more likely to be involved in a crash than those who have not, even those with a lot of experience. So new drivers, who are still learning to drive, are at an even higher risk. 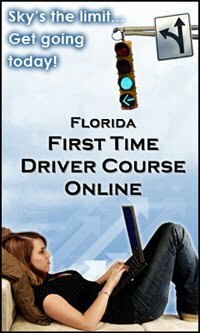 Most of the people taking this course are younger, new drivers - higher risk drivers, even without alcohol. Introduce alcohol into this equation and the situation is even more dangerous. 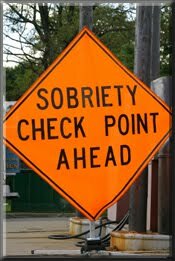 ANYTHING THAT YOU ADD INTO YOUR BODY THAT HAS AN EFFECT ON YOUR ABILITY TO DRIVE BY ANY METHOD - INJECTING, DRINKING, SMOKING OR INHALING - CAN RESULT IN A DUI! That's right! The dentist that legally gave you nitrous oxide in the office during your visit does not get the DUI if you leave and drive your vehicle - YOU DO! Can you afford to take the chance? Although alcohol is the most common drug abused by motorists, there are many other drugs that can affect a person's ability to drive safely. One example is narcotics, which includes morphine, heroin, and cough syrups with codeine. A single dose of this kind of drug will affect a person's reaction time and vision and can make the person drowsy and unable to concentrate. Stimulants, like cocaine and amphetamines, affect a person's perception, mood and attention span, and can make the person over-confident and more likely to take risks behind the wheel. They can also make users irritable and easily startled, causing them to make sudden, unpredictable maneuvers. 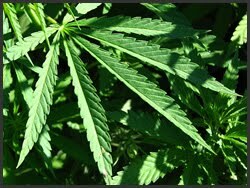 Hallucinogens, like marijuana and LSD, affect the user's judgment and distort their perceptions. 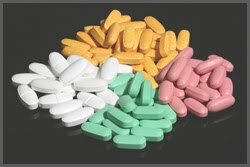 There are many prescription drugs that make driving dangerous. Antidepressants often have a sedative effect that greatly decreases alertness and reaction time. 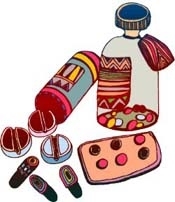 Tranquilizers, like Valium, affect judgment, vision and hand-eye coordination. 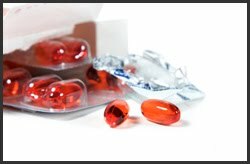 Even over-the-counter medications, such as cold medicines, allergy medicines and motion sickness drugs, can cause drowsiness, decreased attention span and lower reaction time. When a person drinks, both thinking and reasoning become impaired. You can tell just by the fact that once a person has one drink, they're more likely to have another and then another. They become less likely to consider the consequences of their actions. They underestimate the risks of being on the road, and overestimate their ability to tolerate alcohol. When judgment is affected, drivers are less likely to compensate for their other losses, such as reduced vision and increased reaction time, by driving more carefully than usual. The fact that they are judging the situation from an impaired mindset leads them to make a decision that could be dangerous, as they then make the "impaired decision" to get behind the wheel. The choice to get behind the wheel in this case was affected by alcohol, and the consequences were not considered. After judgment, the next thing alcohol affects is reaction time. 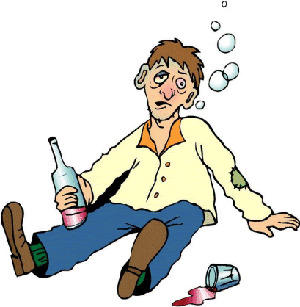 The drinker becomes physically slower and less alert. It takes drivers longer to hit the brake but, because their judgment is impaired, they're not likely to increase their following distance in order to compensate.They process information slower, which affects their perception of traffic situations. So as a person drives down the street while under the influence of alcohol (or drugs that affect reaction time - as any depressant will), he or she is less likely to react to the car backing out of the driveway, the traffic light changing to red, or the guy on the bike falling off of the curb in front of them, so they hit the car coming out of the driveway, or run the red light, or run over the guy that fell down in front of them! Forget about passing a slower-moving vehicle. It can't be done while impaired - the drinker cannot judge the speed of the other car, nor can he or she properly gauge the distance that they need to travel while passing. Then, speed has to be factored in - whoa! - it cannot be done! The increased reaction time combined with the impaired judgment would be enough to make this a potentially dangerous situation, but the other major factor involved here is that a driver who has been drinking cannot see properly while trying to perform all of the other tasks required to safely operate a motor vehicle. It relaxes the muscles that focus and move the eyes, causing the drinker's vision to become distorted. Their perception of distance is affected. They have a hard time judging how close they are to other vehicles, road signs, and traffic signals. Their pupils take longer to adjust to changes in light, so they're more vulnerable to being blinded by the glare of headlights. Their eye muscles may even relax to the point that they can't focus, their vision becomes fuzzy, and they see double images. Alcohol also affects peripheral vision, or side-to-side vision. This is how we perceive lights, shadows, and motion to the sides. 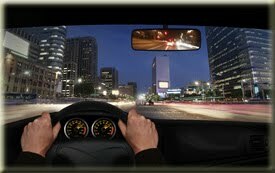 Peripheral vision area is needed when driving. For example, as you drive, a bicyclist might be beside the road, about to pull in front of you, but with a diminished field of vision combined with increased reaction time, the result could be tragic. Either of the two affected areas alone could have been a problem, and when combined, the risk is even higher. When a person drinks alcohol, their bad driving habits become more pronounced. Imagine a driver on the road after having one drink. If a person runs out in front of their car, can they stop in time? After one drink, their motor skills have been affected. Their ability to think and see has diminished. After two or three drinks, their decision-making skills are seriously hampered, their attention span decreases, and they take longer to think and longer to react. What if a child chases a ball into the street? Will they be able to react and stop in time? Beer, Wine, Whiskey, Gin, Rum, Vodka, Tequila, etc. The police look for telltale signs that drivers are impaired. They know that drivers' motor skills, reaction time, coordination, judgment and vision are affected when they drink or take drugs. One thing a police officer looks for in an impaired driver is weaving within the lane, not lane-to-lane. A person who is impaired might also drive too slow or stop too far from a stop sign. They might have their windows down on a cold night or make a quick stop to vomit outside of their vehicle. When law enforcement officers pull over a driver they think might be impaired, they will ask the driver questions. While they listen to the driver's responses, they look at their eyes. An impaired driver's eyes might be red, watery and glazed, and have dilated pupils. The officer monitors the driver's speech. People tend to repeat things and slur their words when they're drinking. They smell like alcohol. They ask the driver to step out of the car and do some simple tasks, which are not so simple if the driver is impaired. Count backwards from 80 to 60. People have a tendency to get stuck on a number if they're impaired. Close his or her eyes and stand on one leg while holding the other leg eight to 10 inches off the ground. Close his or her eyes and touch an index finger to the nose. If the driver is impaired, they will touch another part of the face. Follow instructions such as, "Walk 10 steps forward and five steps to the left." Impaired people walk five forward and three to the right. Answer questions to see how the driver answers them; for example, "Is Mickey Mouse a cat or a dog?"